It looks like company trip. we are excited about the subject of last night. 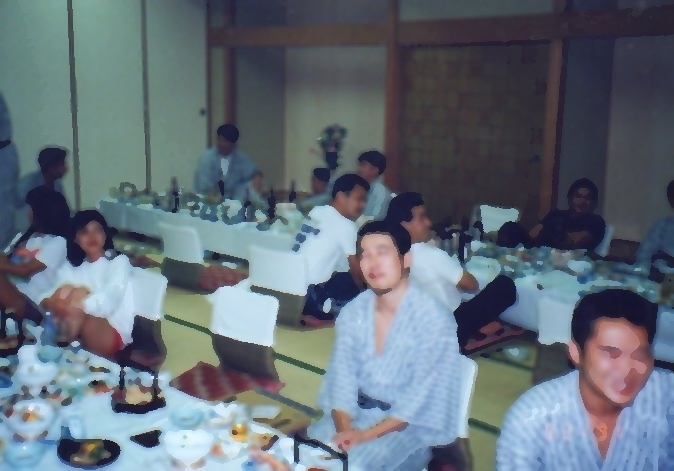 It was a banquet or there was an event. A young man speaks with his fighting spirit. "I will not lose this time." I also say back to something. I am over-riding and feeling floating. The bus stopped at the parking lot. Everyone gathers and begins getting off. It seems that we will have dinner around here. but I have a wallet at my precaution. It seems to be raining, so folding umbrellas as well. Get off and start walking like a park. While drooling memories, it's lazy.